Pasand Apni Apni, Khayal apna apna. -- Devar 1966 ( I think ). Totally agree with that we have seen everything in hindi movies which this movie shows. Yet, the chorography ( both in part I and II ) is beautiful here. I have seen this movie about 5 times and I love it everytime. There is something in Tarantino movies which make me go back and revisit them. It is like walking in the rain. You probably have done/would do it hundreds of times in life, but one would always STICK in your mind. The one - like the first loose envelope when you open a drawer - would pop every time you think of walking in the rain. 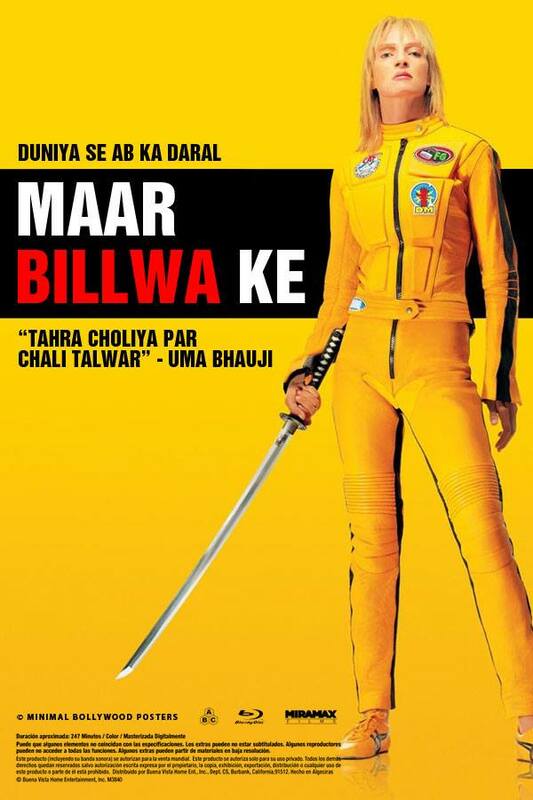 Comparing Khoon Bhari Maang and Kill Bill is - even taking your Bollywood-bias - a yuuuuge stretch. Story is certainly a dimension (and probably 99% of stories are first-order derivative from, say, Bible or Mahabharata), but expected you to at least touch upon others (acting, cinematography bla bla).